A pousada boutique de luxo é um lugar perfeito para experimentar Hunter Valley, a apenas alguns minutos de carro das adegas e restaurantes e cafés de classe mundial. Fig Tree is an exceptional property. 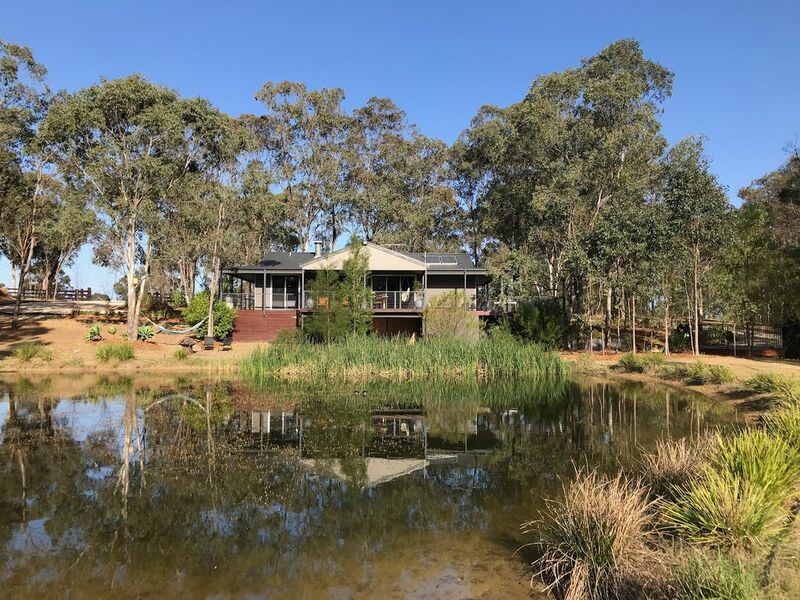 It sits in a very secluded and peaceful part of Pokolbin but still reasonably close to wineries. The outdoor deck wraps around the property so you can chase the sun or get a way from it. The outdoor spa is a great touch and let’s you unwind in the natural landscape. Inside, the property is modern and well equipped, easily accommodating 2 couples with large bedrooms, each with an ensuite. An extra bonus is that the host is very friendly, easily contactable and organised. I recommend and rate this property! Well priced, beautifully presented property, perfect for a relaxing weekend away. Private location so it was lovely and quiet. The new landscaping has finished off the property nicely making it of high standard inside and out. Loved our stay at Figtree. Loved all the little attentions to detail. Beautifully decorated. We will be back!